Over 350 pages of content related to RVing and camping... Be sure to check out the full menu! Are you ready for the 2019 camping season? Will you make it to that special campground you've always wanted to go to? Will you make some new friends along the way? We love all the emails we get from our visitors, so let us know about your camping adventures. You can email us by clicking here. We've learned a lot over the years. We've studied various subjects and even learned from more seasoned RVers... we've cataloged that information and we share it here on the RV Road Trip website. Check out the menu on the left or visit the site map page for a complete index of all the information we list. We update the site regularly to add new articles, new reviews, new videos and new picture galleries. The road trip menu on the right shows all the places we have been since we started this adventure. We hope you enjoy the site and be sure to mention us on your blog or Facebook page. The best website for campgrounds and RV park to find workers for free! RV workers can post their resume online so employers can find you. The site is 100% free to use for everyone and no registration is required. Since we don't RV as much as we used to, we decided to start our own little farm. It is located on Tabernacle Road so we named it Tabernacle Farm. Follow along as we build a 3BR 2BA house as well all the farm buildings. Passport America invented the 50% Discount Camping Club in 1992 and has continued to improve on that great concept. Over 1800 campgrounds across the US, Canada, and Mexico are currently participating in the Passport America Program, with new parks joining daily. Shop for RV parts and accessories today! See the best selection and the best prices for items you will need or want as you are camping. All conveniently listed in one place using a trusted source. From toilet paper to solar panels and everything in between. If you are considering living full time in an RV, or just want to go camping for extended periods, this is the perfect site for you. We have tons of information that will greatly benefit you. We have lots of articles, detailed guides, how-tos and much more in the menu on the left. (It is collapsible for mobile devices.) 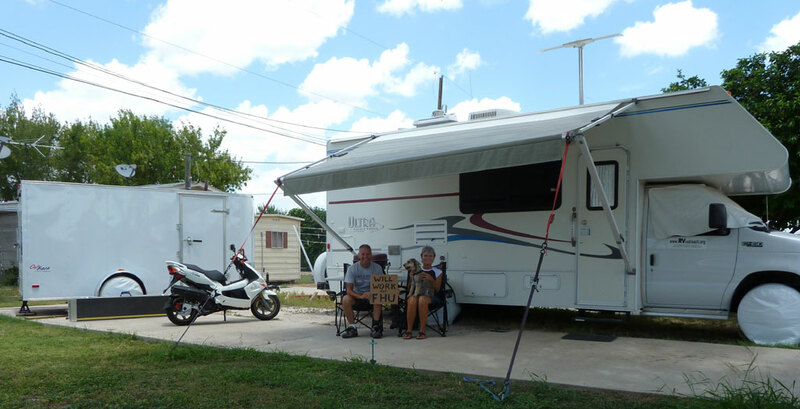 The information is written by Jerry and Cynthia and is based on their first hand experience as full and part-time RVers. You can learn everything from how to install solar panels down to what is the best toilet paper to use in an RV. We had to do months worth of research when we decided to be fulltimers and once we had all that information, we decided to put it all in one place so others in our position wouldn't have go through what we did. This site consists of over 300 pages of original content all related to RVing, camping and traveling. We hope you find the site useful and please feel free to link to us from your blog or website, your favorite RV forum, tweet about us and mention us on Facebook. We pay for the development and hosting of this site from ad revenue. If you want to help us out, white list our site in your ad blocker. If you shop at Amazon, use this link to get there and we earn a little on every sale. If you're feeling especially generous, you can donate to us through PayPal or our gmail account. To learn how to do that, click here. Y'all have a blessed day! We (Jerry and Cynthia) have been together since December 2006 and what a wonderful adventure it has been so far! We've been to more than half the US states together and over a dozen national parks. 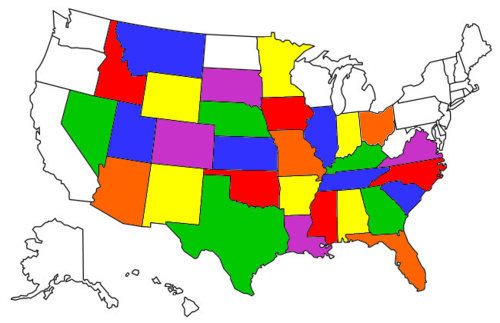 Our goal is to visit all the lower 48 states before time runs out. To see all the states and national parks we have been to thus far, check out this page. Lord willing, we'll make it to each of the lower 48 and maybe even Alaska and Hawaii if we hit the lottery or someone sponsors us. This site documents our travels over the years through articles, stories, pictures and videos. We hope the information we share will make your journeys a little easier or at the very least, brighten your day. These pages document the process of each conversion step. 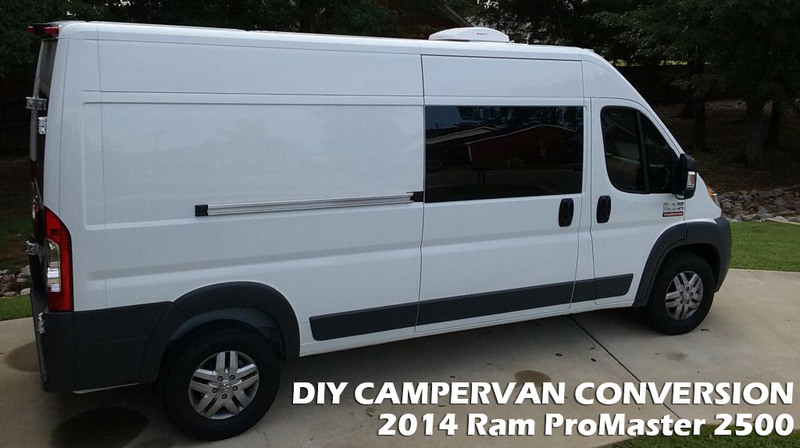 We took a bare 2014 Ram ProMaster 2500 cargo van and converted it into a wheelchair accessible campervan. It doesn't have a kitchen or bathroom, but it does have 2 comfy beds, A/C and heat and wheelchair lift at the rear doors. We took pictures along the way and also made a few videos. Click the Read More button below to navigate through the pages to see what we did and how we did it. Perhaps the information will be useful to someone else.